When drafting legal documents, it is critically important to use correct punctuation, accurate grammar, and proper phrasing. A good example of this rule is a Maine case about overtime pay that hinged on a missing comma. In O’Connor v. Oakhurst Dairy, US Court of Appeals (1st Circuit May, 13, 2017), delivery drivers sued their employers over whether the drivers qualified for overtime pay. The Court found in the drivers’ favor, holding that the employers must pay overtime because certain clauses of Maine’s overtime laws were grammatically ambiguous due to the absence of a comma. The case rested on the comma-less space between the words “shipment” and “or.” Is packing (for shipment or distribution) a single activity that is exempt from overtime pay? Or are packaging and distribution two different activities, both of which are exempt? If lawmakers had used a serial comma, it would have been clear that distribution was an overtime-exempt activity on its own. But without the comma, the court held that the law was ambiguous as to whether distribution is a separate activity or whether the whole last clause—“packing for shipment or distribution”—is one activity, meaning only the people who pack the dairy products are exempt. The drivers did distribute, but did not pack, the perishable food. Given the amount of information available on the web, it is tempting to cut corners by downloading a legal form from the web. Using a do-it-yourself legal website to maneuver legal needs may save time and money in the moment but there is a very good chance that it will cause problems and will end up far more expensive in long run. The smallest omission can invalidate a document, much like the example from the O’Connor case. Knowing what to look for is crucial to avoid penalties and to ensure the language and applicable laws are up to date and applicable to your state of resident. Hiring a lawyer is key to evade a costly mess. The lawyers here at Shindler, Anderson, Goplerud & Weese draft a lot of documents. 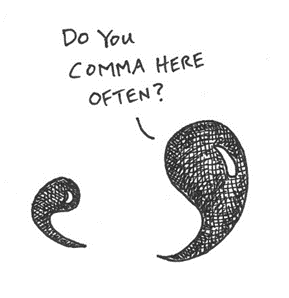 We know how to draft and punctuate your documents. Grammar is not a mystery to us, and we will not misplace your commas.